A perfect game for the entire family. 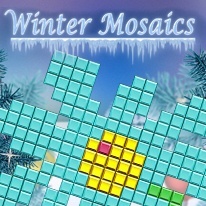 Cuddle up next to the computer and enjoy the challenging puzzles as you uncover unique mosaics under all the tiles. This is not your typical mosaic puzzle game as you'll experience new and different gameplay unique to the game.